Advantage Storage Anna offers a variety of self-storage solutions in the North Dallas Metroplex, Anna and McKinney areas. Take advantage of our clean, climate-controlled drive-up units, which are pest-controlled and ready to go. Whether you are looking for short-term or long-term storage needs, we offer units from 5 x 5 to 10 x 30, including drive-up spaces. We even accept your shipments for placement in your space. Security is always our priority. We monitor more than a dozen, 24-hour cameras: at the entry gate, inside the climate-controlled building and throughout the facility. For extra security, there is also no access allowed in the late evening hours. 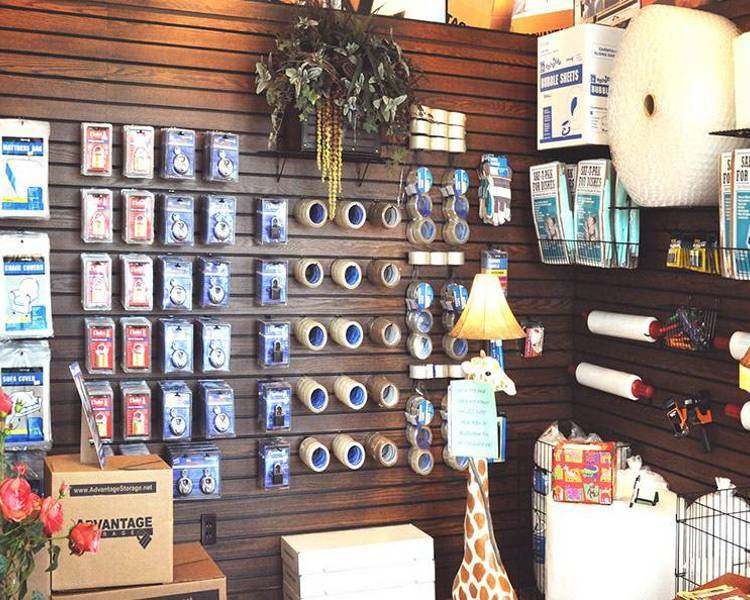 On-site, we have an extensive inventory of moving and packing supplies for sale including a wide variety of boxes, bubble wrap, packing tape, plastic wrap, slip covers, etc. For after hours assistance, just ring the residence bell at the gate towards the back of the building and you will be assisted. We look forward to serving you. Call or stop by and we will help you reserve you the right storage space for your individual needs.